September is upon us. As Summer fades into Fall across parts of the country, kids are back to school and families will begin to look forward to family meals and holidays. Each year, as self-sustaining lifestyles and organic foods become more popular, families are looking for solutions to grow their own food. While many initially think of vegetable gardens and raising backyard chickens for eggs as a solution, one of the easiest options is raising poultry for protein and meat-production. Chickens raised for meat are commonly known as broilers. 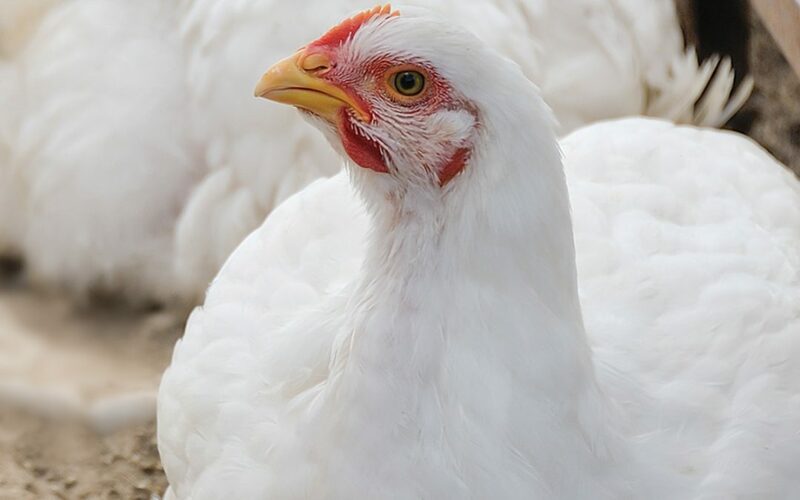 Broilers make great meat chickens because they grow faster than chickens that are raised for the purpose of egg laying or chickens that are considered dual-purpose. In just a few short weeks, many broilers are mature enough to dress. Their rapid growth makes raising broilers in the backyard ideal for those looking to develop a self-sustaining lifestyle. Jumbo Cornish X Rocks are one of our finest and most remarkable meat-producing birds. Males will dress from three to four pounds in six to eight weeks, and females will take about one and a half weeks longer to reach the same size. Red Ranger Broilers are known for their outstanding growth rate, reaching approximately six to seven pounds in just ten to twelve weeks. These birds have great livability and their breast meat is in natural proportion to the leg meat. New Hampshire Reds are a dual-purpose breed — not only do they produce large eggs, but they are especially plump and make an excellent meat bird as well. Males will dress at eight to nine pounds, and females at about six to seven pounds, at about 20 weeks. Looking for something different? Consider Pekin Ducks. Their fine meat quality and egg laying ability quickly made them the first choice of American duck growers. Males will reach a fall weight of ten to eleven pounds, and the females weigh eight to nine pounds, in just six weeks.